note: postage is a flat rate of £2.75 no matter how many placemats you order! note: postage is a flat rate of £2.75 no matter how many placemats you order!Yay! note: postage is a flat rate of £2.75 no matter how many placemats you order!Yay! note: postage is a flat rate of £2.75 no matter how many placemats you order!Yay! note: postage is a flat rate of £2.75 no matter how many placemats you order!Yay! 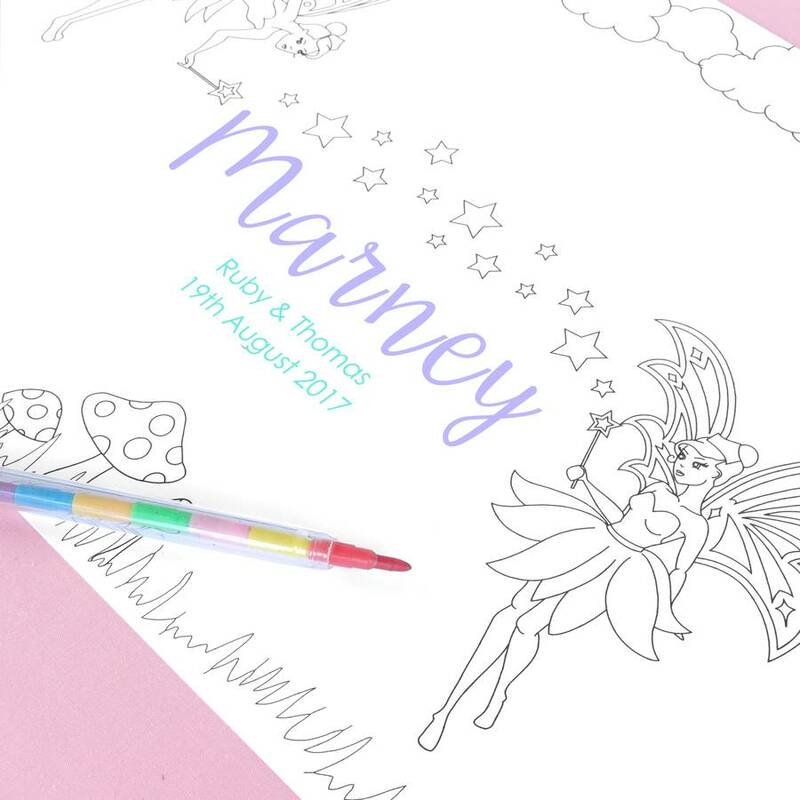 Children will love colouring in their own personalised party placemat, and are perfect for a Fairy Princess themed Birthday party or as a wedding activity! Choose to add a swap-point crayon with each placemat for an extra 25p. The crayons are suitable for children 3 years and over. 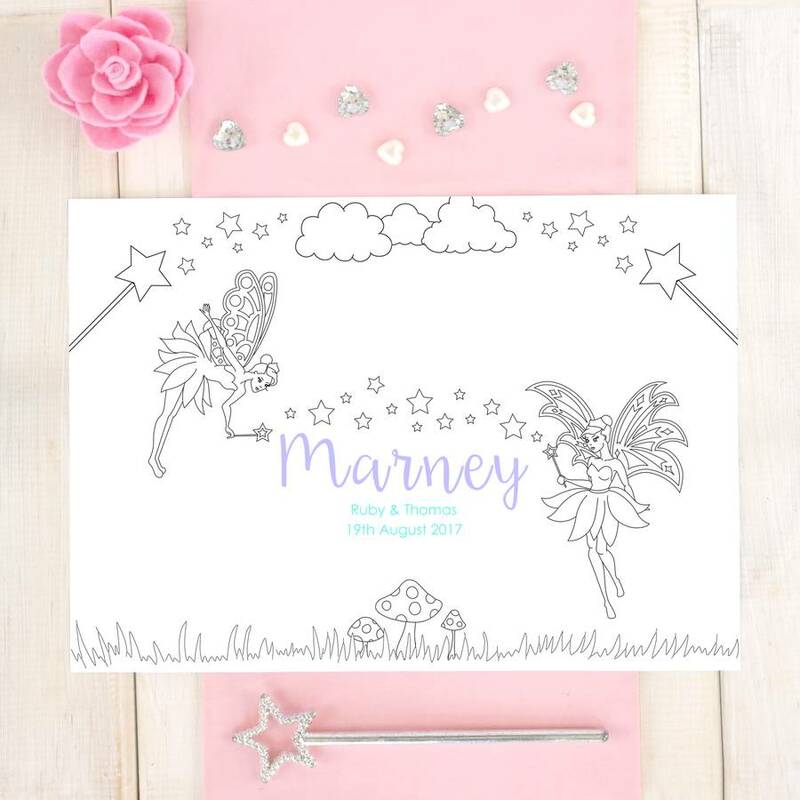 Personalise each placemat with the Birthday child's name and age, or with the Guest's name, Bride and Groom's name and the wedding date if purchasing for a wedding. These placemats are such fun for kids and a creative alternative to favours for their friends to take away from the party. We've gone for a lilac text colour on the names and a aqua colour for the second line on the place mats, but if you have a special colour theme that you would like us to match then please let us know and we will do our best to help. Optional swap-point crayon suitable for ages 3 and over.